In an ideal world, 78-year-old Rita Legrand would not have had to photograph properties, pull city files and interview code enforcement officers to rally neighbors and lobby the city to fight blight in the wake of Katrina. She would have needed only a computer. A transparent, interactive and complete database of blighted properties, which include derelict or abandoned buildings and overgrown vacant lots that violate city zoning code, is the goal in New Orleans and other cities from New York to Detroit. The stakes are high: safe, healthy neighborhoods, community development and stability for residents. As part of a national movement, hackers and civil servants, programmers and nonprofits, and citizens and neighbors are building sites that will catalog derelict properties. 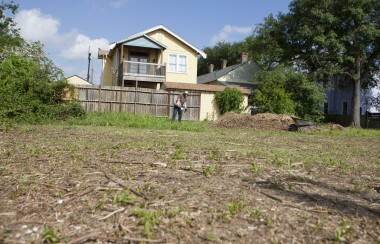 They hope to attract civic-minded residents who will build community gardens and playgrounds. They also hope to lure investors, developers and others interested in a piece of New Orleans at a bargain price. Denice Ross, New Orleans’s director of enterprise information, said she thought providing this information to citizens could help the effort to fight blight. “If government does the heavy lift and provides the data, then the on-the-ground volunteers can do more,” she said. New Orleans already provides data on troubled properties through BlightStatus, a website where residents can search for properties that have already been formally reported to code enforcement. The city hopes to create another program to include all properties, not just those formally reported or cited for blight. Code for America, which deploys designers and developers to cities in need of tech solutions to civic problems, built BlightStatus in 2012. 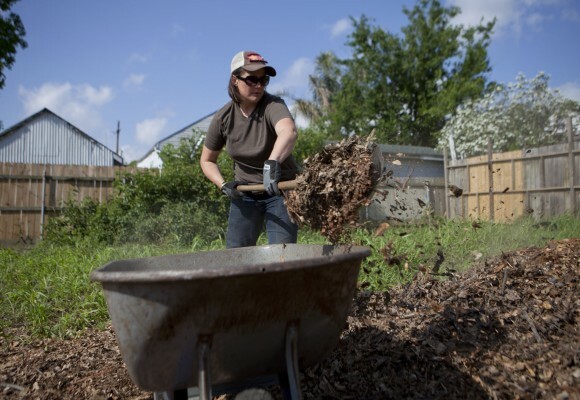 Another effort in New Orleans is Living Lots NOLA, a website that displays a list of public and private land ripe for development into community projects such as playgrounds and urban farming. “The idea is that we are trying to let people come up with answers toward dealing with blight instead of waiting for developers to show up,” said Sanjay Kharod, the executive director of the New Orleans Food and Farm Network. The founding nonprofit, 596 Acres, maintains sites like Living Lots NOLA in New York and Philadelphia. Both BlightStatus and Living Lots NOLA are attempting to make government information accessible to everyone. “You can Google anything about pretty much everything in your life except physical infrastructure around you and information from the government,” said Alex Pandel, a former Code for America fellow whose company, Civic Insight, now manages BlightStatus. Detroit, which faces an increasing glut of abandoned homes, is also looking toward big data as the foundation for its strategy to improve blighted areas. In late May, the Detroit Blight Removal Task Force presented a plan based on the findings a $1.5 million property survey completed using teams with tablets. New Orleans realized the limitations of its old property record-keeping system when more than 130,000 housing units were damaged by Hurricane Katrina. Residents bombarded City Hall with requests for information about the neglected properties in their neighborhoods. “The city did have a code enforcement department and it did post info about property status, but it wasn’t particularly informative,” said First Deputy Mayor Andy Kopplin. After Katrina, Ms. Legrand estimates she attended hundreds of code enforcement hearings. She was usually armed with dozens of photographs of ramshackle houses and overgrown lots. “The people at Walgreens asked me if I go on any trips or have any grandchildren because all they see are pictures of blighted properties,” Ms. Legrand said. Now she logs onto BlightStatus and carries the printouts to meetings instead. The Code for America team consolidated New Orleans’s scattered information databases on blighted properties and fed the data into an interactive map. Residents can now search for a property and see where it falls on the timeline from complaint to resolution. “You know, like Domino’s, you can track your pizza being delivered in real time,” Ms. Pandel said. “We do the same thing with the house on your block.” The site gets about 90 visits each day, she said. Ms. Ross said a new property-survey tool would expand the property listings beyond those formally reported to code enforcement. “Having data about the entire city will allow us to be more strategic and to set new goals about blight,” she said. A new system would allow the city to collect images of the city’s 149,000 properties using cameras affixed to cars. Anyone would be able to view the properties. Even without a comprehensive database, the early efforts are paying off. Keenan McDonald and her business partner Nico Krebill explored Living Lots NOLA and within two days found a half-acre property for their dream — an urban farm. They leased it for a little more than the cost of property tax and general upkeep. 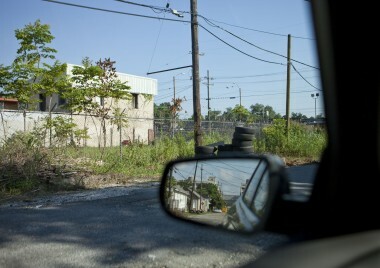 Previous city inspections found the vacant lot had harbored rats, trash and overgrown foliage. Dozens of tires, chunks of concrete, a doll’s foot and bags of garbage were among the objects Ms. McDonald removed from the property. “It’s been more archaeological than anything else,” she said. Now the grass is shorn close and Ms. McDonald intends to use the chain-link fence as a trellis for heirloom cucumbers. “We’ll be growing in full glory by fall,” she said. An earlier version of this article misspelled the surname of Ms. Legrand. It is Legrand not LeGrand.